Long before your legs give out, other parts of you will start complaining during extended rides. 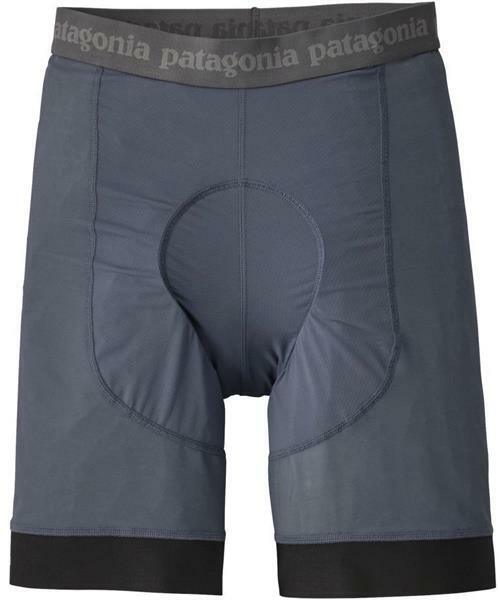 Patagonia's Endless Ride Liner Shorts comfortably handle even the biggest days in the saddle. The nylon/spandex body fabric features highly breathable power mesh panels, and the premium, low-bulk, high-density Italian chamois won’t break down, even on all-day rides when you’re in, out of and all around the saddle. Low-profile loops along the waistband pair with snaps on their Dirt Craft or Dirt Roamer Bike Shorts, while soft silicone leg grips eliminate slippage and chafing. Inseam is 8.75 inches.